Mufti Muhammad Taqi Uthmani (born: 27 October 1943) is the famous scholar of Islam. 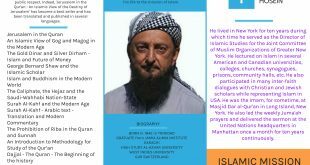 He is in few islamic academic personalities. Mufti Muhammad Taqi Uthmani has served the nation as the Judge of Sharia Appeal bench of Pakistan High Court (1980-82) and the Federal Shariah Court from 1982 to 2002. Mufti Muhammad Taqi Uthmani is vice-president of the Islamic Jurisprudence Academy Jeddah. 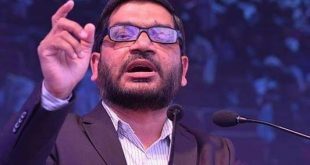 He is also vice Principal of Jamia Darul Uloom Karachi.In addition, He is also working in eight banks based on islamic banking system as an advisor. 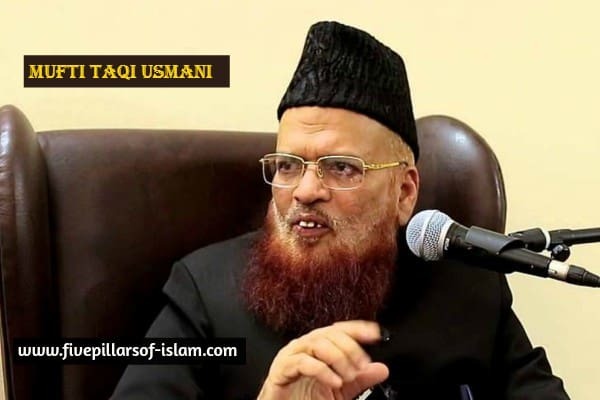 Mufti Muhammad Taqi Uthmani is the youngest son of Mufti Muhammad Shafi Uthmani (the member of the movement of Pakistan) and the younger brother of Mufti Rafi Uthmani.He was born at Deoband In saharanpur, UP, India on 27 October 1943. Mufti Muhammad Taqi Uthmani got his early education in Madrasa Ashrafia founded by Maulana Ehtisham Ul Haq Thanvi, the nephew of Maulana Ashraf Ali Thanvi. After that he completed his education in the direction of his father in Karachi from Darul Uloom Karachi. In 1961, in the same organization he specialized in the jurisprudence and then he moved to Jamia Punjab (Punjab University) and got his master degree from there in Arabic Literature. Later on he passed the examination of Law with high rank. Mufti Muhammad Taqi Uthmani has got the permission of Hadith from almost all the scholars of his time. In those scholars, beside of his father Mufti Mohammad Shafi uthmani, Maulana Idrees Kandhalvi and Maulana Muhammad Zakariyya Kandhalvi are included. ‘Mufti Muhammad Taqi Uthmani’ s father always worried about your spiritual training, this is why he said to him to take the companionship of the great Sheikh of his time and Arif Billah Dr. Abdul hai and to establish spiritual connection with him. in a very short time he impressed his personality and took an oath of allegiance to an emir. After the death of him, Mufti is an authorized khalifa of him. General Zia Ul Haq (President of Pakistan) laid the foundation of an ideological body of the Islamic constitutional council in the 1973 to Constitution the Constitution according to Sunnah, Mufti Taqi Ahmad Usmani was among the founding members of the Council. He played a leading role in the preparation of Hudood ordinance for the implementation of the rules and punishments which Allah mentioned in the Quran. He also presented several recommendations to eliminate the bankruptcy of interest based banking. In the Quran, Allah has declared Riba (interest) as haraam. The basis of modern economic system is on the modern banking, whose entire structure stands on interest basis, in such condition this is a huge issue how to continue economic activities or business in Muslim countries, without disobey God. But now, due to his tireless work, it has been resolved permanently. Mufti Taqi has set a systematic banking system in the boundaries of the Sharia that fulfills all the contemporary requirements. The banking system, that presented Mufti Taqi, is being adopted very rapidly in the whole world after accepting by the Islamic jurisdiction academy. (Islamic Fiqh Academy). Now, dozens of Islamic banks are working on the principles of Mufti Taqi Usmani Sahib. Many Canadian banks have earned in only one year, more than two hundred percent profits, by working on the principles made by him. Mufti Taqi himself is working as advisor of eight Islamic banks. Mufti Sahib is also the chairperson of accounting for Islamic financial institutions and auditing and organization. Having completed his graduation in law from Karachi University, Mufti Taqi Usmani was associated with the Pakistani judicial system for a long time. He has been a judge of the Sharia Appeal bench of the Supreme Court of Pakistan and the Federal Shariat Court from 1980 to 2002. He was also the Chief Justice of the Shariah Application Bench and also the acting chief justice of supreme court of Pakistan. In this period he has made several important decisions as a judge in which the interest is considered to be non-Islamic and it was his most famous decision. In 2002, the former dictator Pervez Musharraf had removed him from the post for the (same) decision. He has been teaching Sahih Bukhari, Fiq’h, and the principles of islamic banking for many years. Apart from this, various local and foreign universities periodically manage invite his as a visitor lecturer. He has been teaching for a few years in the University of Karachi Sahih Bukhari and delivering the lectures of Bukhari Shareef. Now the world knows him as Muhaddith, that is why the Ulema gave him the title of Shaykh-ul-Islam. Mufti Taqi Uthmani has played an important role in 1974 in anti qadiani movement directed by Hazrat Maulana Yusuf Binnori. In this movement he has prepared a document with Maulana Sami ul Haq which was presented to the Parliament against the Qadianis, in which the qadianis were announced non muslim. After 9/11, he opposed the dictator Pervez Musharraf and his policies by his columns and statements openly, when Pervez Musharraf presented Pakistan for sacrifice (as a goat) before imperial purposes. He discussed openly about the amadement in the bill of women rights, and also in the Lal Masjid Issue and declared the government policy lie and betrayal. He expressed a strong reaction on the cartoon issue of the Messenger of Allah (peace and blessings of Allaah be upon him), and came to the TV and condemned the devious fate. Apart from it he is a great author of hundreds of books. This was his brief introduction. Beside it all, he believes in simple life. He usually talks with all comfortably even plays with children. He is a great man of our era. Allah bless him and may he lie long.